The relevance of this topic is very high. 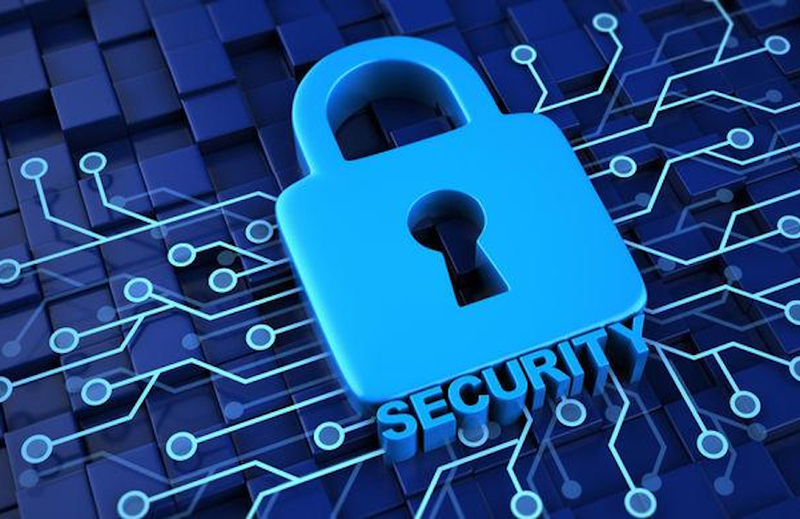 Many do not even think about the importance of observing simple rules when using social networks in order to secure your account from hacking. Therefore, today you will learn how you can easily and simply protect yourself and your data, taking into account the banal safety recommendations. creating a loyal customer base. All this is a very painstaking and energy-intensive exercise. Therefore, it will be very offensive if you put so much effort into this deal, go on Instagram to start a promotion, and will not be able to log in to your account. So, what to do if such an unpleasant situation happened to you? What measures should be taken to warn such problems? We will talk about the «prevention» of hacking and your further actions if your account is stolen. Thus, getting access to your gadget, including Facebook along with mail, is very logical that someone gets access to all the services that are attached to it. Therefore, most often accounts are stolen through such vulnerable “entry points”. First of all, be sure to check the relevance and security of all services that are associated with your account. Then, through the communication methods, make sure that you do not specify account-related mail. The last one — never store your access in Google Docs or notes on a smartphone. This is the most commonplace way to get your data by copying mail and official letters from Instagram. You get a letter from the attacker without even knowing something is wrong because the letter will be visually the same as a letter from Instagram. Design and address of the sender will be very similar to each other. Below you can look at an example of such a letter. Having received a letter of this kind be sure to pay attention to the role address (the domain name, which is the part after @). That it can be a catch. Cloned phishing is most often «pecked» by inattentive users and newcomers among account administrators. Therefore, think twice before following a suspicious and incomprehensible link. Unfortunately, Google Play and the AppStore do not cover phishing applications. 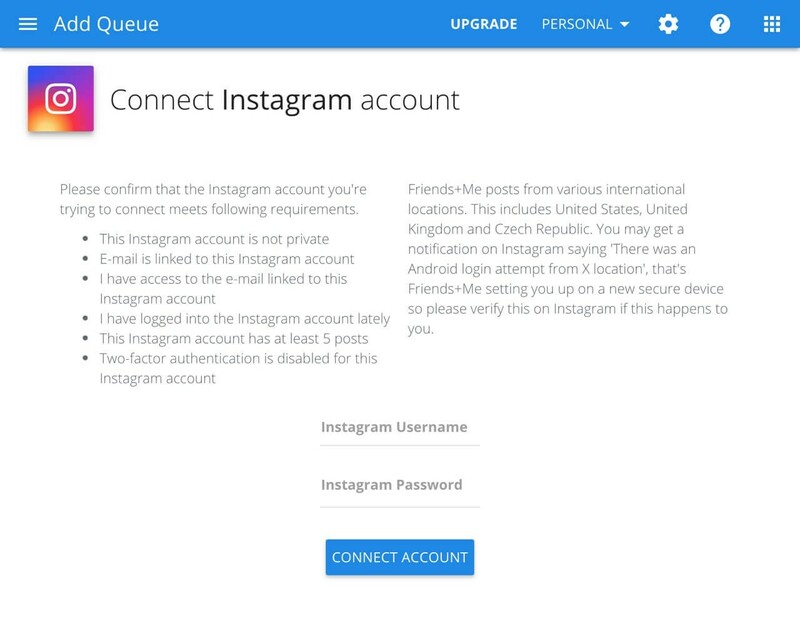 Such services usually request access to the account during registration or can imitate authorization via Instagram. However, there are services that do not do this, so you do not need to be authorized in third-party services. In addition, you should take in mind that there are options, which are simply impossible without access to your account. To be more relaxed, pay attention to the authorization process since authorization via Instagram occurs only in a new tab on the official website of this social network. To check the list of applications that have access to your account, you need to go to the application settings and click on «Access Control». There, you can familiarize yourself with all the applications in which you are logged in via Instagram and can cancel their access rights to your account at any time. 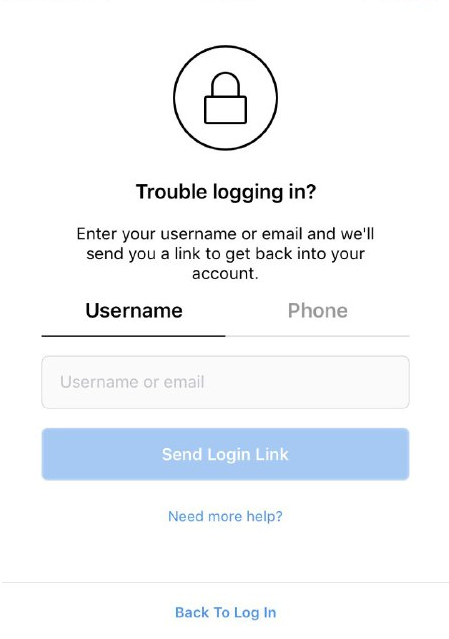 If you suddenly lost your gadget, which stores access to your account, you need to change both the password from Instagram and the service attached to it (it could be your email or Facebook), as soon as possible. Hacking ordinary Instagram-accounts in most cases associated with the purpose of financial gain. Such accounts are sold to third-party companies. Their average cost is $ 0.3-0.5. The support service of Instagram needs some time to handle complaints or provide you with the necessary assistance. Therefore, tune in to the fact that this process may take several weeks. Moreover, the size of your account, as well as the budget for your advertising campaign, do not matter and you will not be counted on the priority of your request. However, sometimes there are exceptions to the rule. How to return account after it was hacked? It is very important to react quickly. If you managed to log in to your profile — first of all, change the password to your account, as well as on all other services associated with it, including your email or Facebook. Then enable two-factor authentication. In case when you cannot log into your account — try to reset your current password through the mail, Facebook or phone number. If it worked — immediately enable two-factor authentication. If even when resetting your password, you did not manage to regain access to your account, this means that the attackers have already managed to unbind the associated services and your phone number (in case if they were connected). enter your nickname, mail and phone number associated with your account. In «Phone Number» field, Instagram can indicate the number of the SIM card currently used by your phone. Not in all cases, this is exactly the number that was associated with the account. Please note that the magic link via SMS does not always work or takes some time, even if you are 100% sure that your account was tied to the phone number you specified. If you have not received a letter to your address or your nickname has been changed *, repeat the above steps by entering both the nickname and the mail. 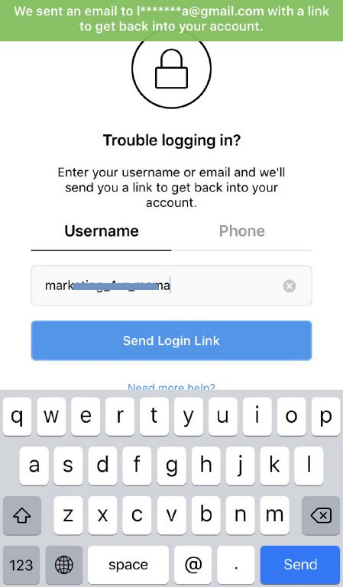 * In the case when you can no longer find your account by your previous nickname, go to the mail and view messages from Instagram, perhaps the system notified you about its change. If you have not received any information about this, contact your friends with whom you have a history of correspondence and ask them to find out your current nickname or by the comments that were previously left on your behalf. If after such actions, when you managed to log in, change the current password from both your account and associated services, whether it be your mail or Facebook. Then quickly connect two-factor authentication. On the password recovery page, you need to click on “Need more help?” and then enter the information that the system will request. 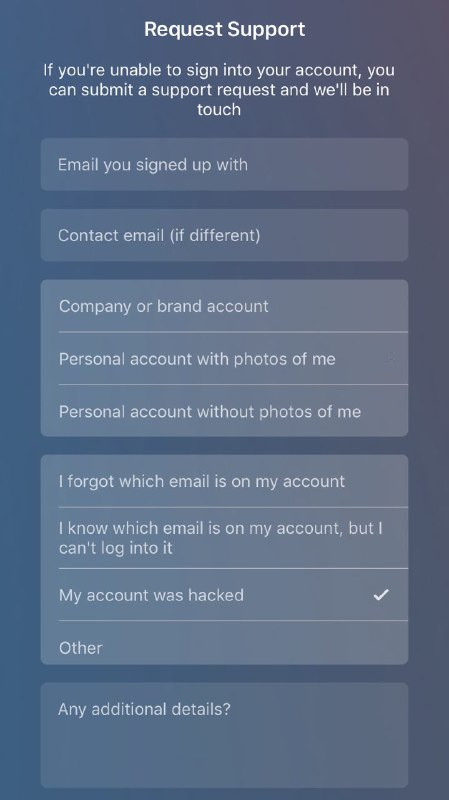 Check the box next to «My account has been hacked», send a request and wait for an answer, which should come to the specified mail. If within a few days, you do not receive any answer, — you should repeat the same request, this time by ticking «I forgot the mail associated with my account». What to do with a nickname after hacking? After successfully returning of your accounts, you can change the nickname that the crackers put you, using any other one that is currently free. It can be even your previous nickname, which was changed. Sometimes the Instagram system may require a nickname change if you want to regain access to your account. In this case, we advise you to choose a nickname that most closely resembles your old nickname (you can add an underscore or a dot). If your account has been deleted, you can create a new account by linking it to your previous email. However, using the old username, in most cases, will not work. You should not enter into negotiations with fraudsters, agreeing to pay a reward or send a ransom money to return the account back. Most likely, it will end with that your account will not be returned or you will be pulled out of endless surcharges. It is not recommended to be highly active as soon as you were able to regain access to your account, as the Instagram system may find it suspicious and block your account. Hacking an account without the help of its owner is a very difficult task. Therefore, be vigilant and do not allow someone to spoil your long-term efforts to promote your account due to minute inattention. First, check the security and relevance of all services that are associated with your Instagram account. Replace your current password with a more secure one using unique alphanumeric combinations and different registers. Change your password from time to time — at least once every 2-3 months. Avoid authorization from public Wi-Fi and do not save the password in the browser. Never use the email or phone number you specified when registering your account in the account header. If you have any suspicions, immediately change the password of the account and all services associated with it. And most importantly — always be toned!